This post has been sponsored by Owlet Baby Care. All opinions and content in this honest review are 100% my own. Moms. Have you ever gotten up in the night, just to see if your sweet bundle is breathing? How about put a finger under their nose to feel their breath, or watched for their chest to rise? I am so guilty of this! I was much worse with Grayson, since he was my first. I would seriously WATCH him through an entire nap. With Charlie, she sleeps so rarely, that I am in disbelief when she sleeps for long periods of time, so I rush to make sure she’s alive! Not only that, but she is sleeping independently in her crib more often now, so I am having to get used to her being away from me! Of course, our intense maternal instinct makes us protective and cautious, but there is something else that contributes. The media! We hear of scary deaths where babies stop breathing in the night and we are constantly being reminded to keep baby as safe as possible to lower the risk. Although something like this is actually rare, I think I speak for most moms when I say it’s always on the forefront of our brains. The good news is that it’s very unlikely to happen to us. Here’s the BETTER news. There’s a new product on the market that will eliminate all your worries. I want to HUG the inventor of this gem. 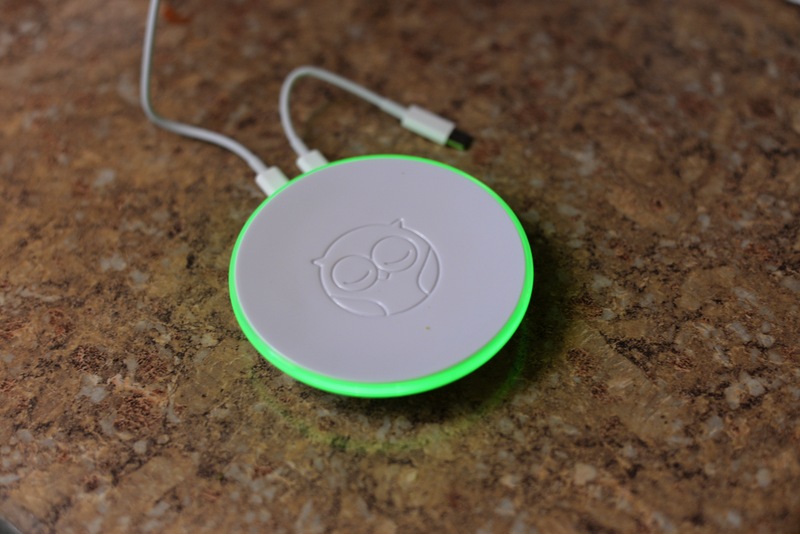 Ladies and Gentlemen: the Owlet Baby Care monitor. 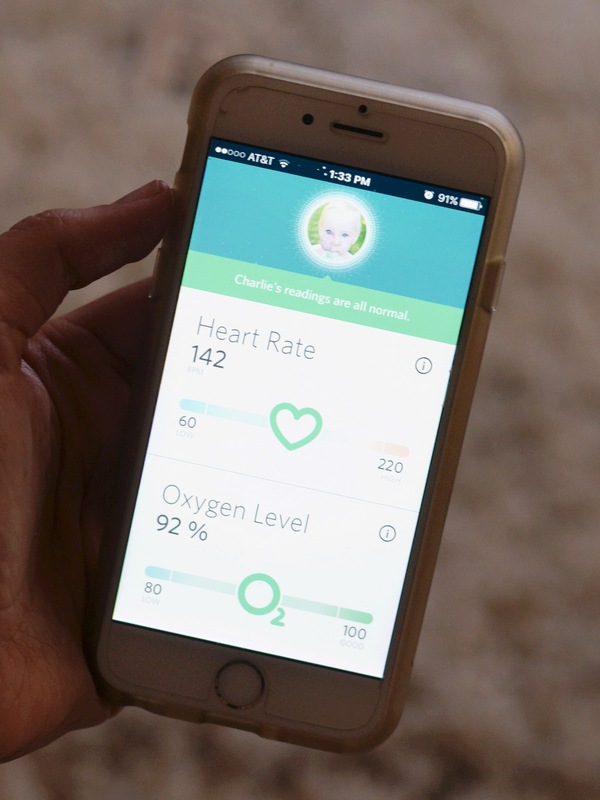 This monitor uses hospital grade technology to measure your baby’s pulse and oxygen levels while they sleep. 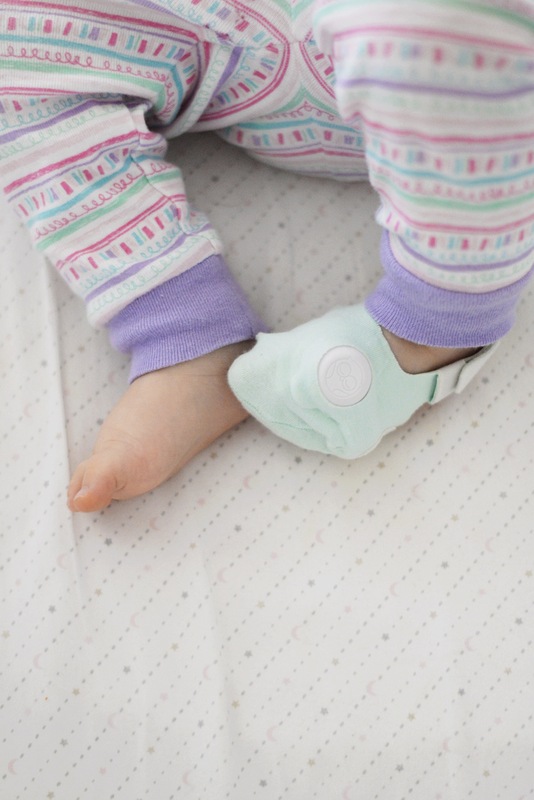 Using a secure sock, the sensors are secured to the foot to monitor baby. There are three sock sizes that come with the monitor for your convenience. 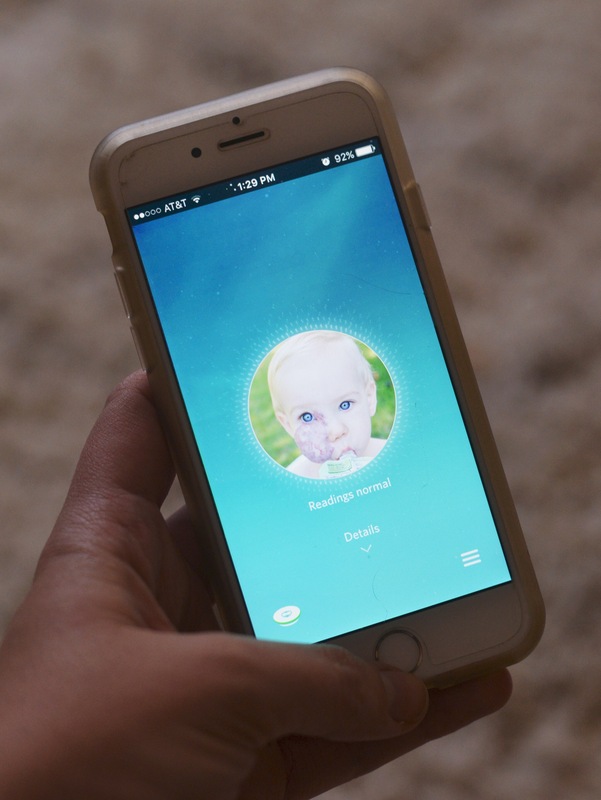 You can see the readings at any time through the Owlet app on your phone. It also shows you how much battery is left and notifies you if baby is too wiggly to get an accurate reading. 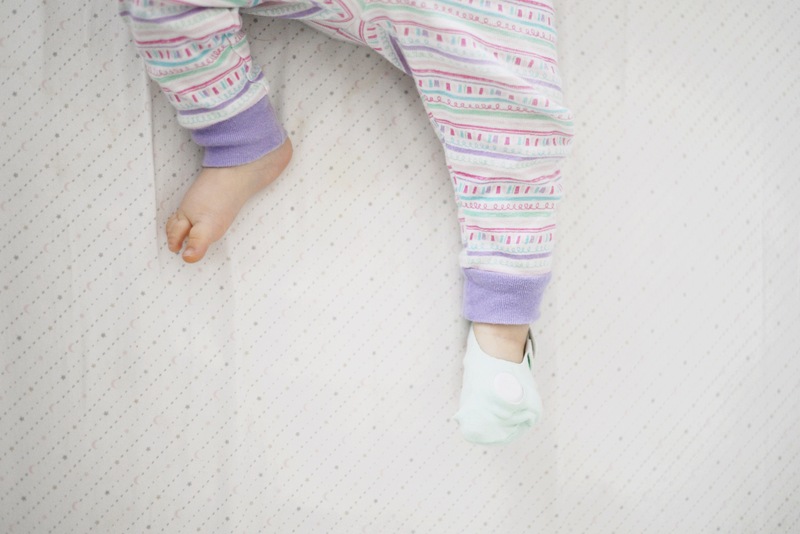 There’s a base that charges the sock and keeps you aware of the status of baby by the color of the glowing light. Each color means something different. Green means that the monitor is working appropriately and readings are normal. Should something be abnormal, the base would alarm and the light would turn red. There are a few other monitors that claim to monitor breathing, but in the experience of many people I know, they are notorious for false alarms. That would make me absolutely CRAZY. I am so happy to see so many rave reviews (already!) from so many mamas who have had a chance to try this. It was in development for two years before being released last October, which makes me feel great about how much time was put into this product. Overall, I am beyond impressed. 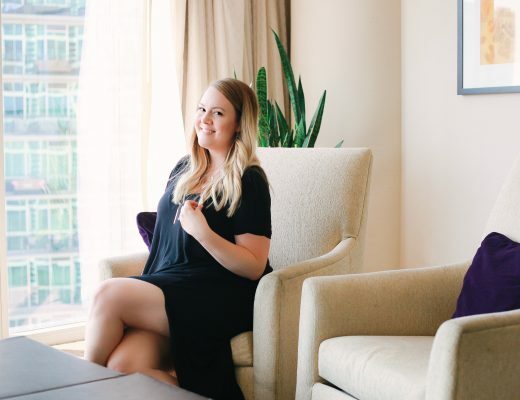 Coming from a healthcare background (much of which was specifically with infants and neonates) and being a mom of two, I highly recommend the Owlet Baby Care and think it should be on every registry out there. Click HERE for a promotion of $20 off your purchase! This product scares me. 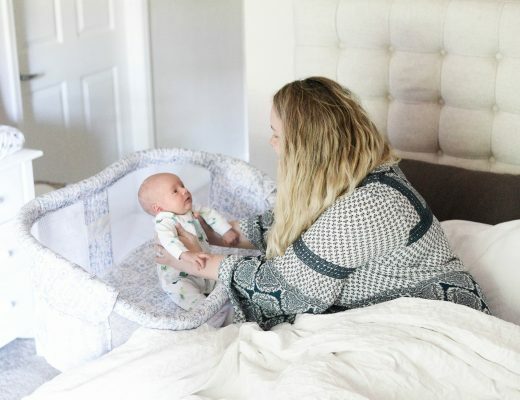 I believe that some parents may use this as a way to help prevent SIDS, meaning they may place their baby in tummies to sleep, relying on this monitor to let them know that baby is still breathing. I try to educate all I can about safe sleep but with this being in baby aisles in the stores this may overrule as a peace of mind. Just like anything, hopefully the parents will read the literature included and understand that it is not a product intended to prevent SIDS as there is still no known cause. 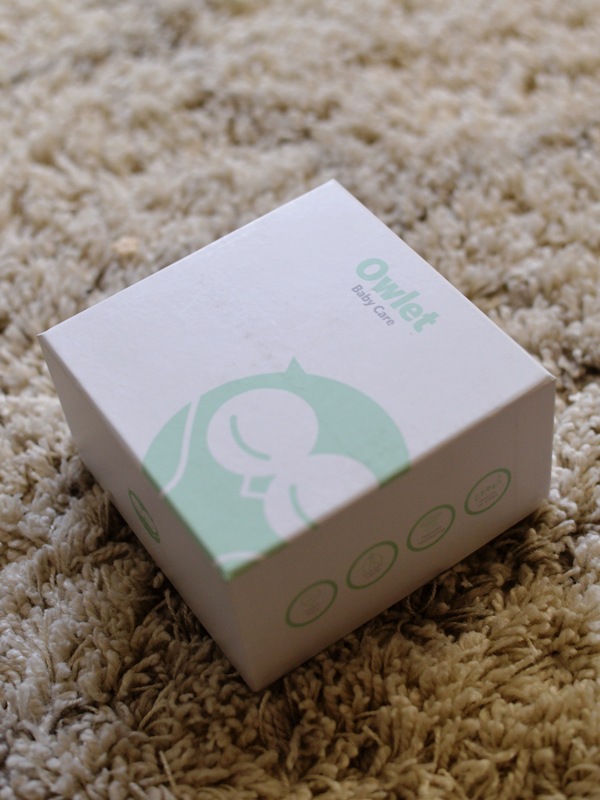 Safe sleep trumps everything else, and Owlet is adamant about that!